Playing cards in school? What the hell?!? THIS IS AGAINST SCHOOL RULES! BESIDES EXAMS ARE AROUND THE CORNER. WHAT ARE THEY THINKING???? Never mind. Why Y.cards? Y.cards are cards. cards are made of PAPER. However these paper are expensive. Why? Because of decoration and packaging. Price of cards: Can't be above 20cents per card. Plastic wrapper: Can't be above 30cents. Total: Can't be above 50cents. How do you earn profit? Simple. You junk the junk. Decorate the cards and the plastic. Next, put all the cards into a piece of plastic, and hey! You can sell them for $6.00 a packet! Person1: Hey can you sell me your magical mallet for $36.50? Person2: No deal. 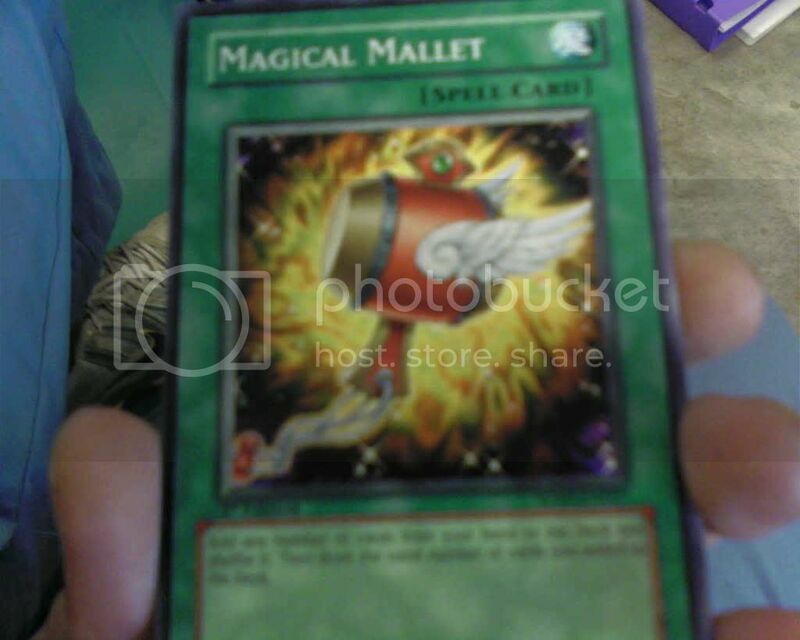 My magical mallet, although a piece of cardboard, is worth wayyyyy more than that. Person1: Shucks..you are not a newbie after all. I will pay you $40 for the piece of cardboard decorated with a picture of a hammer. Person1: Wahlau. You wait longlong ah. I need to save for longlong. Person2: Ok lah. But 1 month will increase $10. Look at this picture again. 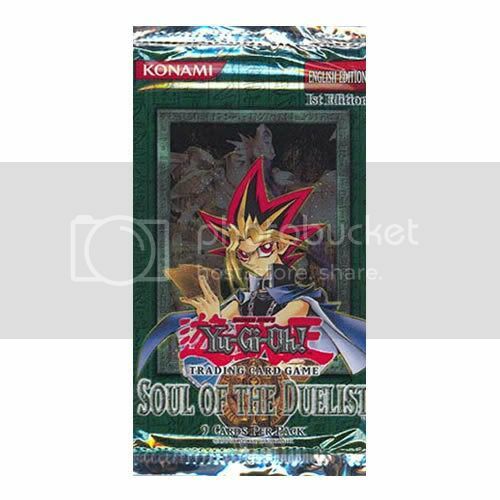 Spot the word "Soul Of The Duelist" Are you determined enough to buy all the cards and be as strong as Yugi, a cartoon character?? KIDS fall for this. They look for keywords and phrases which sound 'heroic' but are usually known to adults as being 'childish'. Death of the lost pharaoh, SOUL OF THE DUELIST, Night of the flying monsters, Dark wizard of the evil mountain. 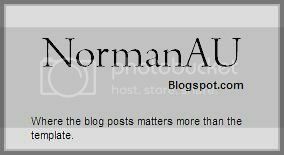 This post is also available at http://fiqo.blogspot.com . lol. some of the cards are in korean language, so some ppl will assume the meanings of the words. 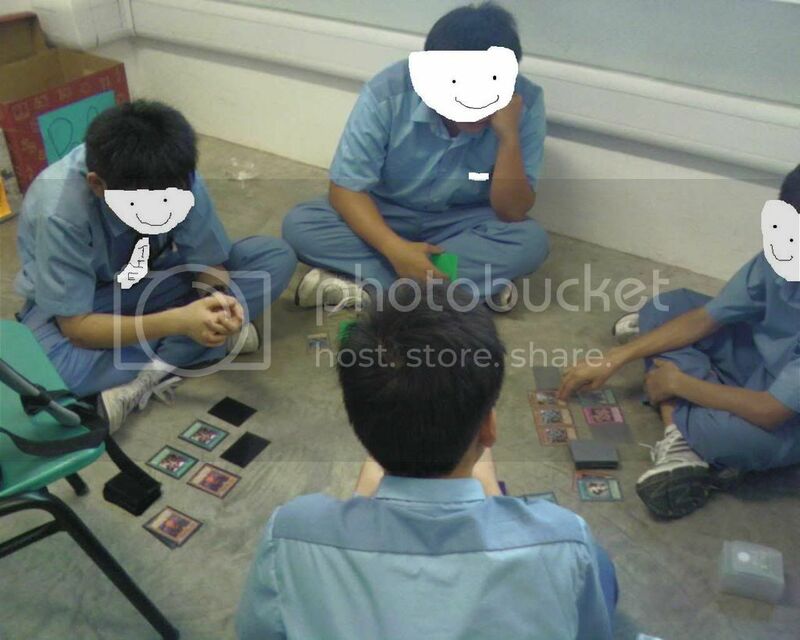 wad fun is there anyway in playing yu gi oh?